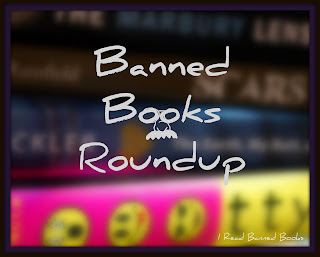 Welcome to the second edition of Banned Books Roundup! At the end of every month I will feature stories that all have one thing in common, book censorship. Because I focus mainly on YA literature, these banned sightings will, you guessed it, spotlight children and young adult literature censorship. I know, I know....there technically hasn't been a banned book in a very long time here in the US. We are fortunate to live in a place where the government doesn't not absolutely ban us from printing/distributing materials. We use the term "banned" in order to drive the point home - no one can tell me, and shouldn't tell anyone else, what to read. That is a decision I am capable of making, and believe others can as well. If we are talking about young adults - make an informed decision with your child and don't push your decision on others. Let stories be a gateway to deep and meaningful conversations about tough subjects. Good, it's settled then! Unfortunately, August had its fair share of challenges, but the one awesome thing about this month is celebrating Banned Books Week! 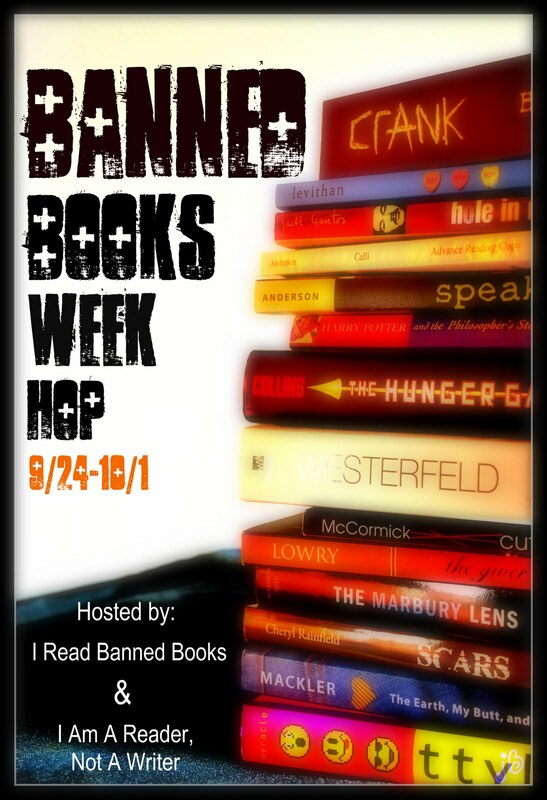 September 24th - October 1st is a time where we focus on our First Amendment rights and the freedom to read. At the very bottom of this post you will find resources for your blog, library, classroom, and everything else. Two weeks ago, the school board in the Greene County town of Republic, which is to Springfield, Mo., roughly what Arnold is to St. Louis, voted to remove two books from the high library: Sarah Ockler's "Twenty Boy Summer" and Kurt Vonnegut's "Slaughterhouse-Five." The Vonnegut book, which had been taught in an upper-level English course, also got the boot from the curriculum. You may have heard about this. For some reason, it became national news, even though hardly a week goes by that someone, somewhere doesn't challenge a school or a library's decision to make some book available. The American Library Association reports that there were 10,676 challenges filed between 1990 and 2010, very often to the same books. Despite First Amendment protection, banning or attempting to challenge books has a long history, with many cases even making it to the US Supreme Court. As the American Library Association explains: "books usually are challenged with the best intentions—to protect others, frequently children, from difficult ideas and information." Science fiction and fantasy books often contain these themes that some find questionable, whether it's alien life forms, magical powers, or mystical worlds. The following are the most challenged science fiction and fantasy books according to the ALA. The Albemarle County School Board voted Thursday night to remove Sir Arthur Conan Doyle’s “A Study in Scarlet” from sixth-grade reading lists. A parent of a Henley Middle School student originally challenged the book in May on the grounds that it is derogatory toward Mormons.Thursday’s vote was the culmination of the work of a committee commissioned to study the book and two discussions by board members. Richland school officials have grappled with book controversies three times in the past year - while nobody seems to complain about novels elsewhere in the Tri-Cities.Last month, the Richland School Board voted to pull The Absolutely True Diary of a Part-time Indian, an acclaimed young-adult novel by Sherman Alexie, from the classroom. It has since reversed its decision after the public blasted the board. A social studies textbook that stirred up controversy in St. Charles Unit District 303 is likely to remain in classrooms for two more years.Parent Jennifer Nazlian had challenged the third-grade book "Social Studies Alive! : Our Community and Beyond," saying it has a liberal slant on issues such as health care, immigration, unions and natural resources. If you know of a story that I missed, feel free to share! 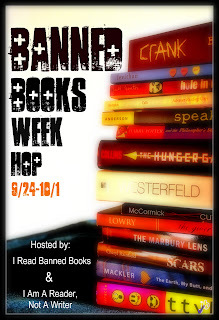 I am happy to co-host the Banned Books Week Hop this year with Kathy from I Am A Reader, Not A Writer. The hop runs September 24th-October 1st. For all the scoop, go HERE.